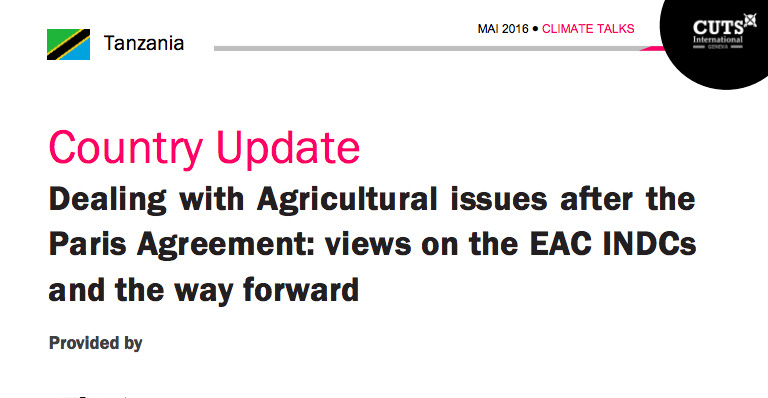 Dealing with Agricultural issues after the Paris Agreement: views on the EAC INDCs and the way forward. An agriculture issue under convention is guided by the principles of the United Nations Framework Convention on Climate Change particularly the Principle of Equity and that of common but differentiated responsibilities and respective capabilities. Article (v) of the Convention require all Parties to promote and cooperate in the development, application and diffusion, including transfer, of technologies, practices and processes that control, reduce or prevent anthropogenic emissions of greenhouse gases not controlled by the Montreal Protocol in all relevant sectors, including the energy, transport, industry, agriculture, forestry and waste management sectors.